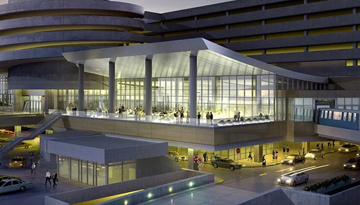 Tampa's port and international airport make it an easily accessible, popular destination. It is easy to see why Florida's second-biggest metropolitan area has grown as a tourist destination. The cities rich history, modern landscape and glorious sandy beaches make it an ideal location for both culture seekers and beach goers. The area has a multitude of cultural activities and exciting amusements for visitors of all ages. The world famous Busch Gardens, the ultimate family adventure park, has been attracting visitors for years and is a must for animal lovers and thrill seekers alike. In addition, Tampa boasts the excellent Florida Aquarium, the Lowry Park Zoo and several major museums. For those wanting to witness some sporting action, why not take a trip to see the Tampa Bay Buccaneers in action. 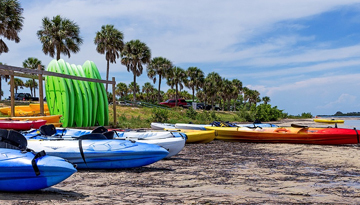 Miles of waterfront and sandy beaches make Tampa an ideal location for a relaxing beach retreat, especially for those wanting the escape the crowds of Orlando and Miami. As well as providing the excitement of a large city, the Tampa area has many small towns to explore, offering a glimpse into the areas history and diversity. Special offers by Lufthansa - Book offer flights to Tampa from London - £619 return. 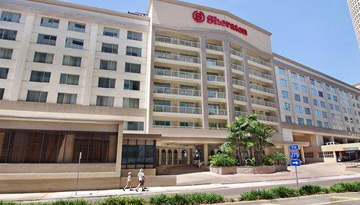 Sheraton Tampa Riverwalk Hotel offers easy access to Tampa's main hot spots & 4-star modern rooms. Fly from London - Tampa & Stay for 7 nights with 3 star accommodation. Room Only.